A-Line's two Mercedes Varios have now completed 2 years (and a week's) work for the company. 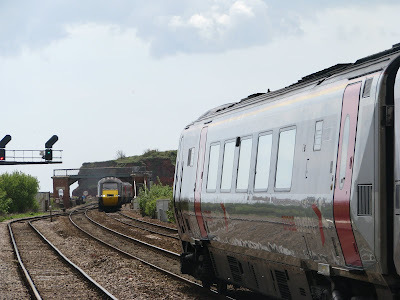 The photo shows R651 YCR on her first day's work with other drivers looking on enviously! Of course both look quite different now with the addition of fleet vinyls along with the odd dent and scratch! They really did bring the fleet up to date, and though many companies have started to phase out the Merc Minis, the two still give great disabled access. X981 has been a star performer under taking a whole manner of tasks from private hire trips to school runs, and has proved to be a very reliable and high quality vehicle. So 2 years done, lets see how many more they'll last! Of course today was the very first Roselyn Open Day in Par and indeed it has been very successful with a very good turnout considering this is the first event held. A full story will be published soon but for now here's a photo of Ex Plymouth Citybus Atlantean ATK 164W crossing the lever crossing in Par. This wasn't a proper jaunt, simply a day out that brought a few interesting snaps. Unfortunately the camera was not on hand, so the phone has been used to bring you these 3 photos. Firstly here we have Polperro Tram Company's JDR 661F. This little electric powered vehicle travels simply up and down the high street from the main car park down to the main village centre. This must be one of the oldest public service vehicles still in daily use, and was doing a good trade even on this wet day. 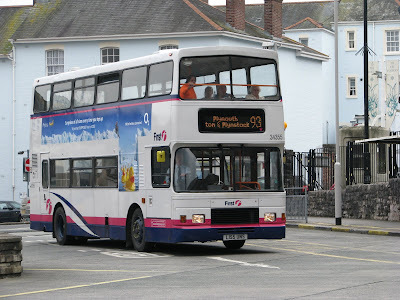 Back in Plymouth for this on, and its Ex-Truronian WK56 ABZ. Unusually she is straying off the usual city routes and onto the lengthy 76 with one of the 'extended' journeys to Launceston. The question here is, is she at home on a country route (the sort of thing she would have done while with Truronian) or is she away from home on city routes. I've travelled on the bus in both types and I must admit 44500 is more suited to the city routes. Especially with this one being fitted with the 'Urban 90' seating it made for a somewhat uncomfortable journey on the 14 from St Ives to Truro last year. And finally was visitor, SDD 146R, a Leyland Leopard in Black and White coaches livery. This was following another Leyland Leopard which unfortunately was travelling too close being a Volvo B7s to get a good photo of. She was in the Black and White variant of the National Express livery. I presume they may be attending the Par running day tomorrow at Roselyn Coaches. PCB SOLO ON THE ROAD! 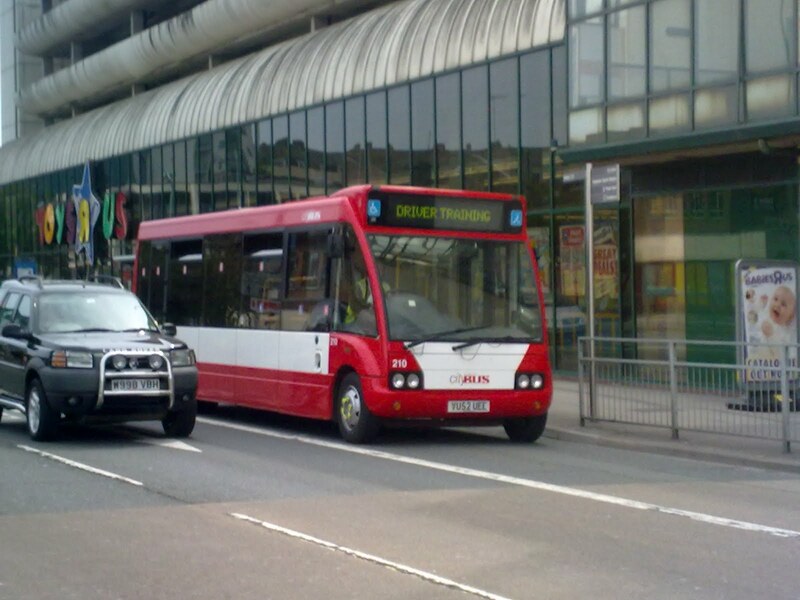 Finally after all these months of waiting, I have captured a Plymouth Citybus Optare Solo on the road! Its been quite a hot topic when they were going to finally get them on the road and indeed 4 were lined up in their 'usual' position today at the side of the depot. But now they are out on driver training duties and won't be long til they're in service! 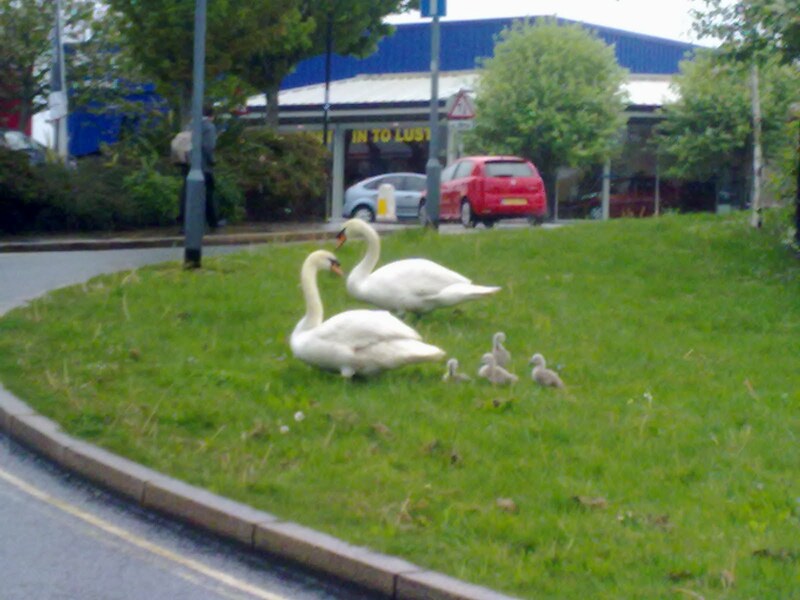 Apologises for the photo quality but it was very much rushed, dashing across 3 lanes of traffic to the central rail as it was coming up the road! 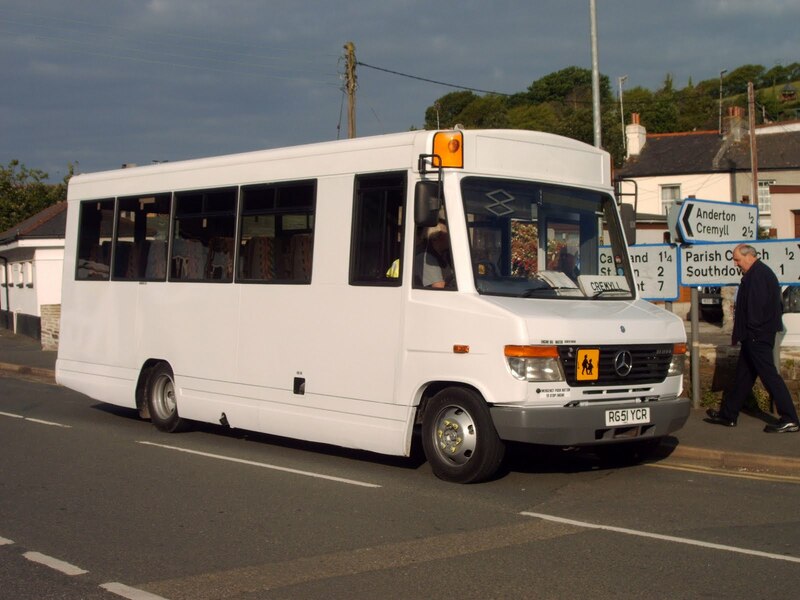 You may have seen the same bus on Plymothian Transit a few weeks ago, but here she is again ODV 203W now operating open top journeys in Wales. Though as well as this being a lovely local Atlantean the other thing I wanted to pick up on was the attitude of the driver. All too often drivers embarrass the company and themselves by making rude gestures or are known to make bold statements to enthusiasts. But here we have an example of the driver being nice to an enthusiast giving him a toot and a thumbs up as he drives past! Fantastic in my books I wish more would adopt this attitude. Some may argue that this could put you off and spoil the photo, which is true and I've been caught out on occasions waving to a driver while trying to take a photo, but this type of gesture I think you'll agree is much more welcome. Of course 913 was one of the very earliest Atlanteans and marked a huge step forward in bus design. The whole concept of one man operation was revolutionary with a single door at the front, with the engine out the back. Indeed for my 'Engineering Diploma' course I studied the Leyland Atlantean design in depth as I thought it was such an achievement in modernisation, that no doubt will now be timeless. So Happy Birthday 913, hopefully many more happy years motoring! This photo - taken some 3 years ago now, shows 32756 on a road that hasn't been served by First for some years now. 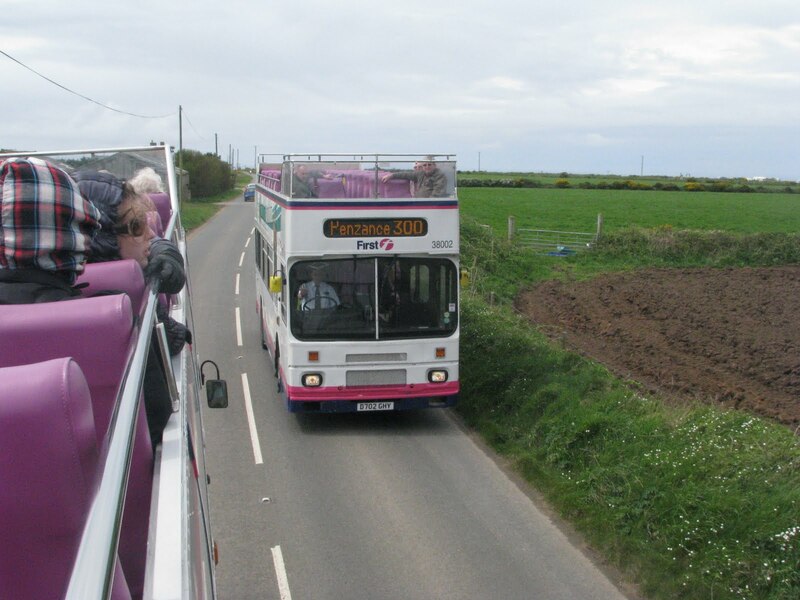 As you may be able to tell this was taken at Pennycomequick from an 81B, showing the 80 coming off Stuart Road. 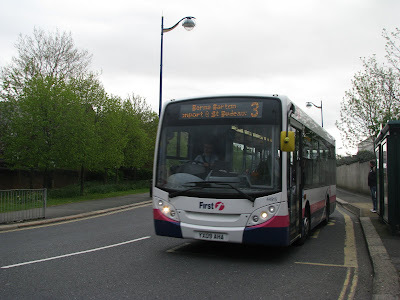 This was also a time when it wasn't uncommon for two services to be on each ferry and many 81 passengers used to hop onto the 80 instead as it was often that bit quicker than going via Stoke. Personal memories, well I always remember looking out for a passing VR at lunchtime on the 80s from DHSB which of course the service went past. More than often it was a Trident though on the odd day I was lucky enough to see one! Of course though this 'shorter' service is long gone First have started the 81A offering a shorter trip going straight down Union Street. It would be nice if this diversion was carried out by 81C, reducing the journey time for the longer distance travelling customer. In timetable changes in coming weeks, it is strongly rumoured, if not fact that most if not all 81Cs will now also be serving Crafthole. 81C is already burdened with Great Park and Stoke so increasing the journey time yet again doesn't seem to make a lot of sense! Extended 81s worked well last time this was done, and indeed drivers seemed to prefer this! On runs to Derriford this could mean that the single journey time will be over two hours from Cremyll to Derriford. We'll have to wait and see the publication which I believe is being released next month. Hopefully you'll be able to make out both of these signs. A trip today up to Tiverton produced this comical scene of a trolley with "For passengers use only Not to be removed from NEWTON ABBOTT" As you can see I've included the Tiverton Parkway sign in the background! There was also a trolley from Taunton in attendance. Well here E920 EAY replaced with G526 LWU on the overflow service into Millbrook today. 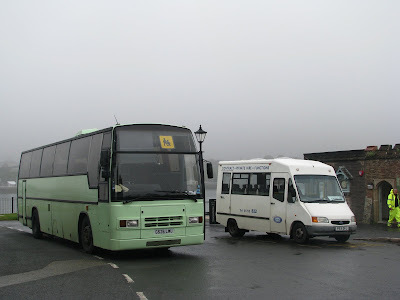 The Transit and coach are replacing the Vario at the moment (yes again) but did give a new scene to admire in Cremyll. It was also my first trip on the new beast and indeed it looked very good, with a nice interior to match. The ride was very comfortable if anything slightly better than E920. Though where it falls down is in power. She seemed that bit more sluggish with Roger having to rev her that bit more to get a good speed on the hills. No doubt all these years of Wallace Arnold work up and down the motorways caused this! The gearbox was also slightly 'tricky', when compared to E920. But indeed it does represent the company pretty well. I was attempted a video I filmed aboard the bus today, but yet again Youtube has failed me! Keep a look out though. 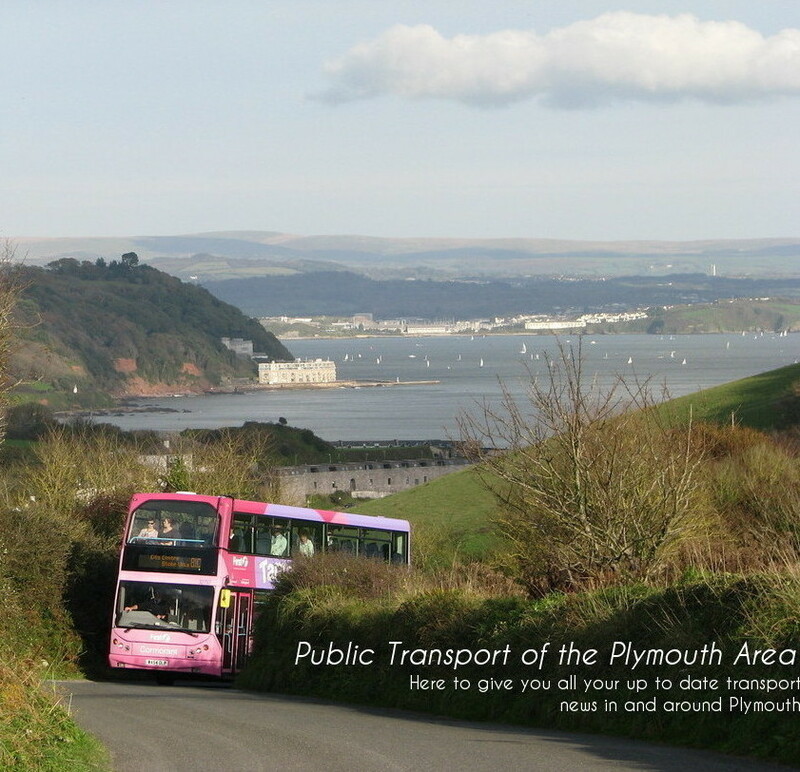 Ok this isn't strictly Plymouth news but I thought many of you would be interesting if you haven't seen this already. The final design was announced yesterday and I must be honest, I think its quite a shocking design! There were some pretty decent concepts that were dreamt up about this 'New Routemaster' still capturing at least the essence of the old. But this? Well personally this simply looks like a slightly rounder Enviro 400 with less lights? I really do doubt that this will be the "Icon of London" that Boris was hoping for! They talk at length about the efficiency of the new Routemaster and how it will be ideal for London, but really the whole backbone of this project was to bring back the favourite along with the icon looks, and this it simply does not achieve. Will we be seeing these in some 50 years time on the front of postcards? I have my doubts. 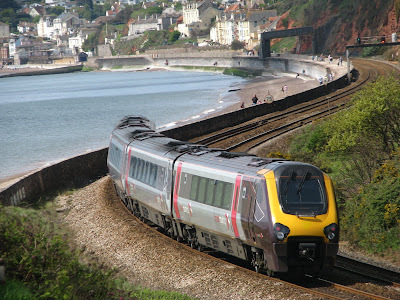 As afore mentioned, myself, Louis, Stu and Sam chose Dawlish Warren (more specifically Langstone Rock) for our spotting location for the various tours during the day. 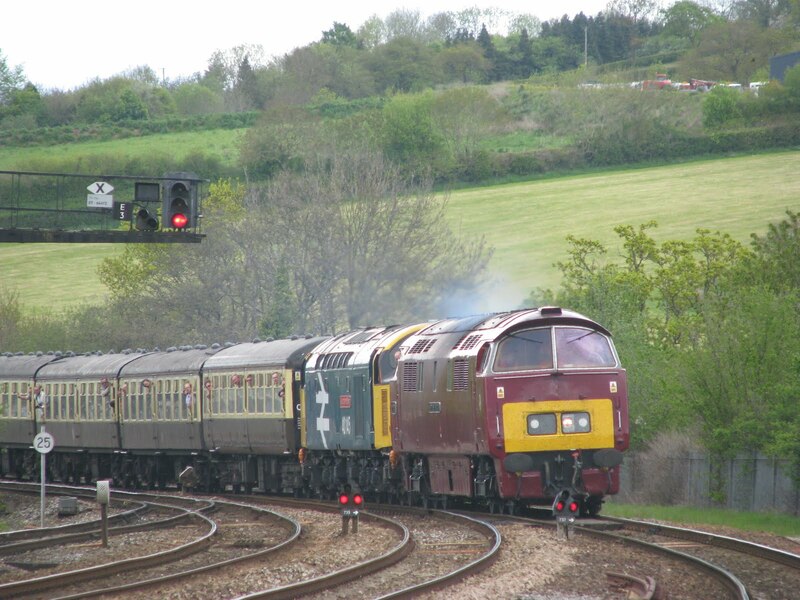 First along was the VSOE being hauled by two class 67s these being 67005 and 67006. 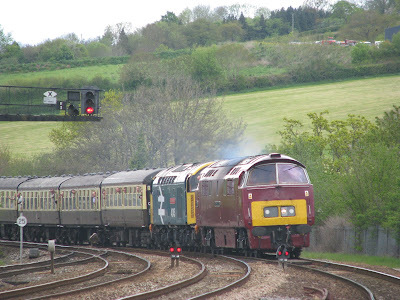 These were pulling a rake of Pullman coaches around the south west for the weekend. Second and much more interesting was Castle class loco No 5043 'Earl of Mount Edgcumbe' and Hall class ‘4965 'Rood Ashton Hall' as they flew by. This was rumoured to be the Earl's first trip down this far for some 60 years, so caused a lot of interest. 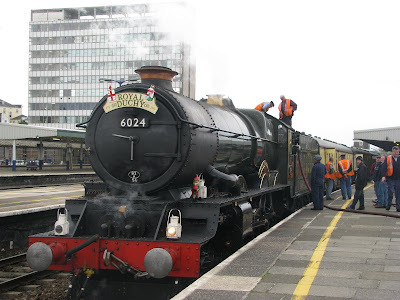 I believe that the real Earl of Mount Edgcumbe did come down to meet the train in Plymouth? It was quite a sight though seeing them round the corner though, they were really gunning them! 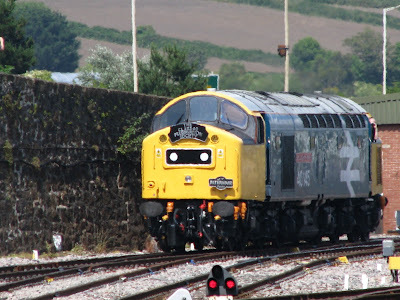 As there was a fair old gap between the next two we headed down to Totnes to see D1015 Western Champion, though for this tour was re-numbered D1012, Western Firebrand, along with Class 40, 40145. 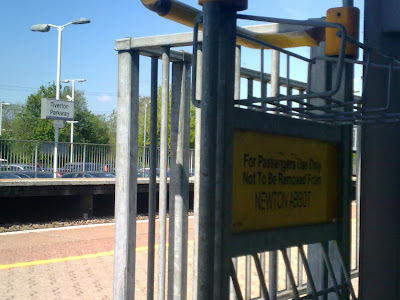 Though idling through Totnes station they did put the power on for the run up the hill. Strange though that they came through on the Platform road rather than on the pass by line, so were carrying half the speed they would normally. Though it did result in some nice clagging from both engines on exit. And well to finish off with, just another Voyager! The sun was shining perfectly for this photo though so I had to add it in. The weather, though dry did vary with cloud cover, making it fairly difficult to get a good shot. As you can see in the photo of the Class 67s, it was timed badly and the sun had disappeared for a few minutes! Just a quick photo from yesterday of a CrossCountry Voyager along with a CrossCountry HST passing each other at Dawlish Warren. I spent a majority of Saturday there to see the various special tours go through. A full post will be done on this in due course, but for now, I'll leave you with this view. Now which would you pick! 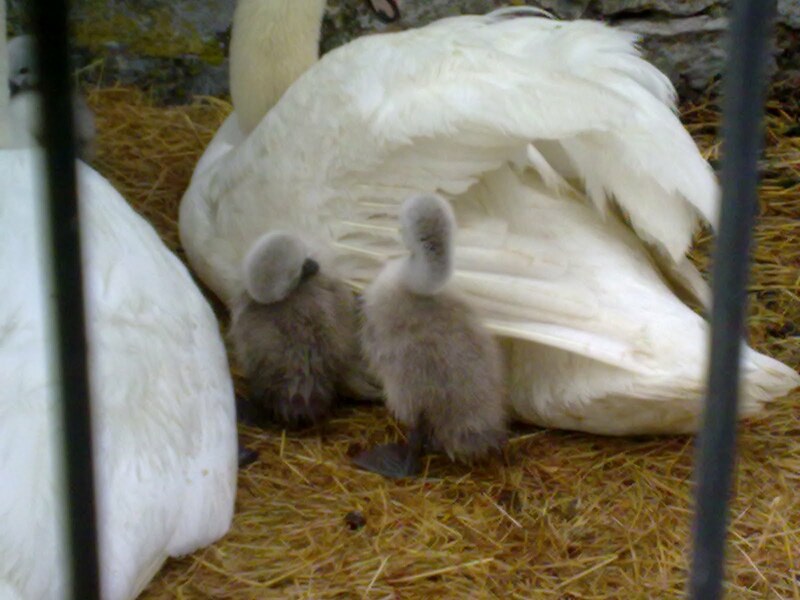 The famous Cremyll Swans have been back for another year, with the eggs hatching just a week or two ago. 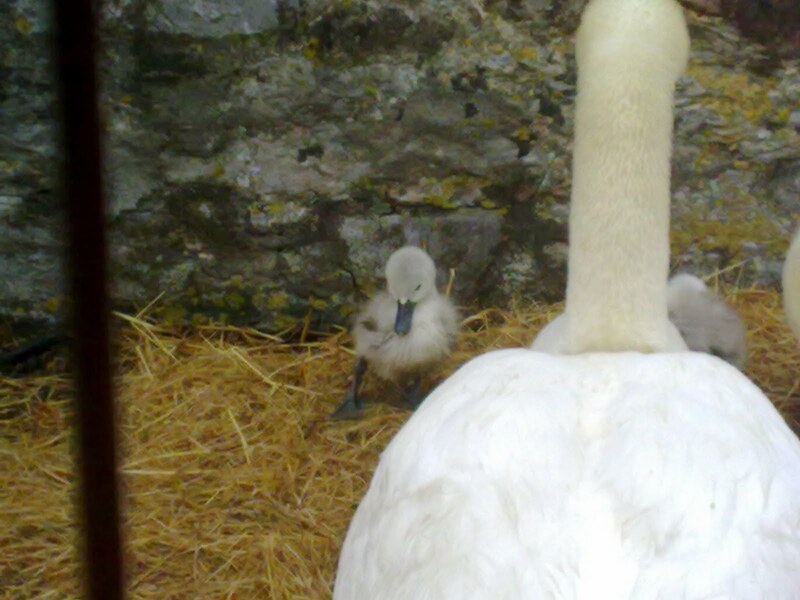 I thought it would be nice just to post a couple of photos to show the four are getting on very well! They even ventured all the way up to the Citroen Garage this morning. 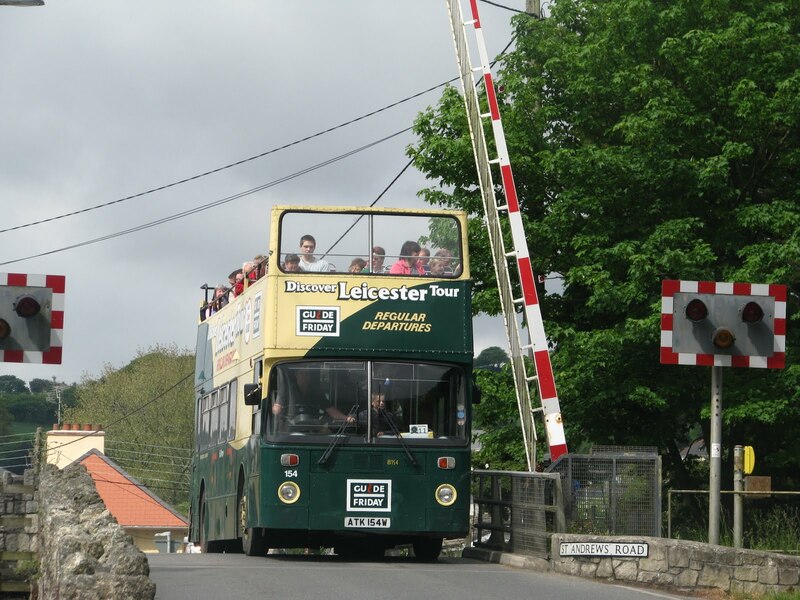 Three rail tours will be entering the region tomorrow if you want to go out and catch them! One will consist of a Class 40 along with D1015 (Western Champion). And the third and most important will be Castle class loco No 5043 'Earl of Mount Edgcumbe' and Hall class ‘4965 'Rood Ashton Hall'. 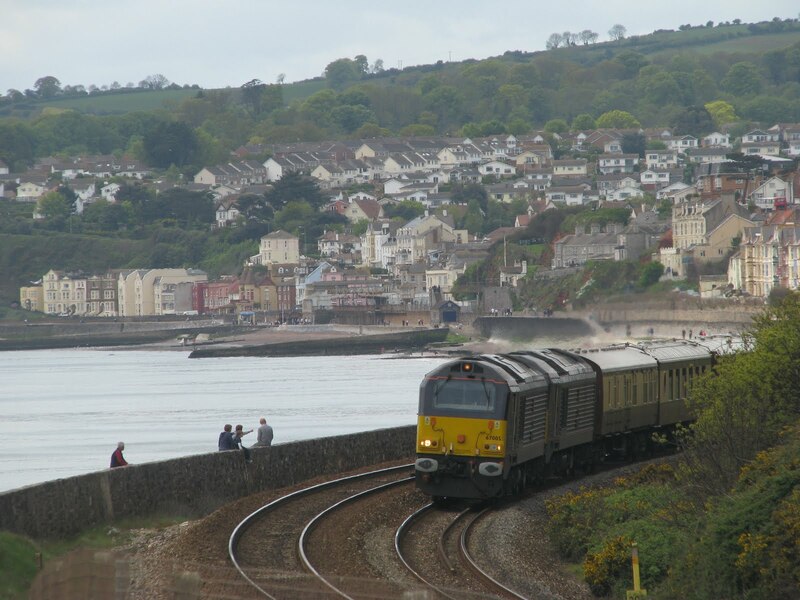 They're expected into Plymouth at around Half past 1 and then depart back up to Birmingham at Half past 4 (16:30). This tour is part of the 175th anniversary celebration of the GWR with many events going on this year. Its a shame that again I'm having to report a high floor loss to First Devon and Cornwall. This time its Olympian, L155 UNS, of course unique to us, she was actually only recently brought back into service after being withdrawn. Though went through a mid-life renovation that saw her return to the road last year, since which she was used on a whole variety of tasks, and was also based down in Cornwall for some months. But today, she joins the First Essex fleet along with some of the K-LAE Olympians she has been working alongside recently. 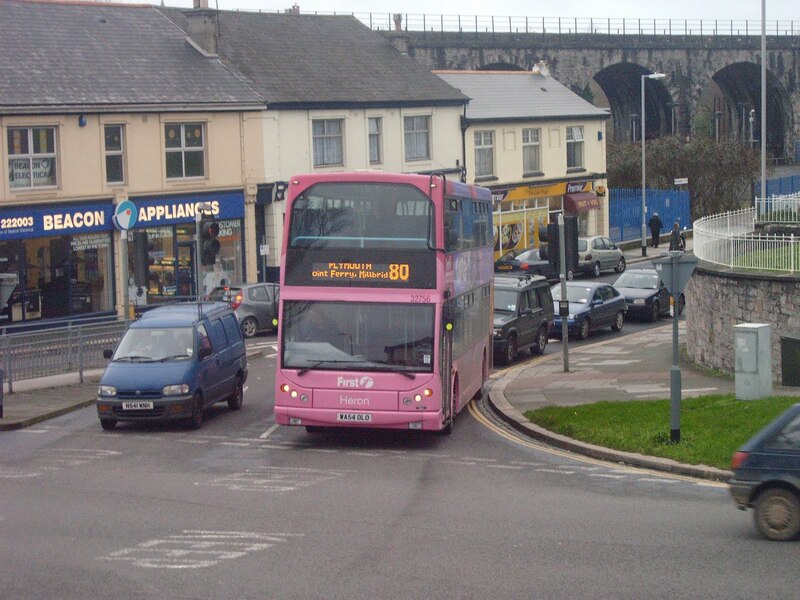 L155 was always a very strong bus and its a shame to see this lost from the fleet. Right well firstly "Hello!" I'm back. This recent flu has very much had the better of me over the past week, and with exams getting even closer unfortunately the blog had to take a back seat. So all I can say is over the next sort of 5 weeks the regular service of the blog may be disrupted because of exams, as well as me not even getting out every day because from Friday I'm on study leave! But enough of me, lets get onto the buses. Well doesn't look like I've missed anything too exciting on the bus front of things over the past week. But on a trip on the 34 today which is always something different I was blessed with this beauty. Now the H-GTTs are always a type I have yearned for a trip on, and finally it came true! And my did it live up to expectations, and a lot more! 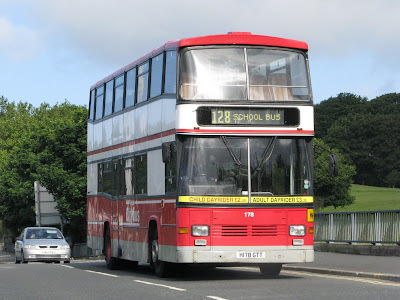 What a fantastic bus H178 is. The interior was still in remarkably good condition, and was amazingly comfortable. The engine was still lovely and 'grunty'. The gearbox made an amazing array of interesting noises compared to your standard gearbox, and gave a very smooth coach like ride down to the ferry. For a bus of this size I was amazed how coach like it felt, I was totally fooled with those seats and the sheer amount of space inside the bus. I will say without even thinking about it, my favourite in the fleet now. This is how they need to be built! 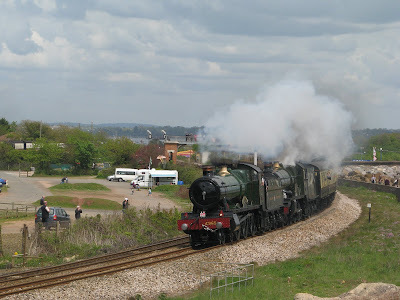 Just a quick photo post to show off King Edward on Saturday on her run back up the mainline. 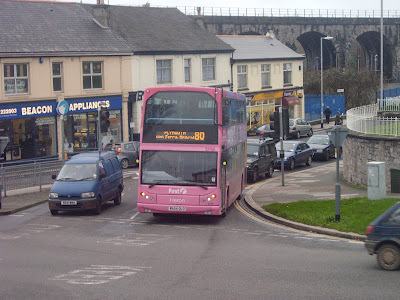 I thought we'd missed her on the way back up from St Ives, but luckily she'd stopped in Plymouth for a water fill up! There was a hive of activity around her, though as you can see the sky was a bit grey! On Saturday I managed a quick trip on one of the new '09' reg Enviro 200s which have recently been brought down to the city to be swapped with B7s. Of course the buses look very smart from the outside (even though they don't particularly 'stand out' like the B7s do), but what really counts if passenger comfort and for me, these Enviros score pretty low. Maybe I was just unfortunate with 44915, but for a start the seats wearn't that comfortable even on my short trip. 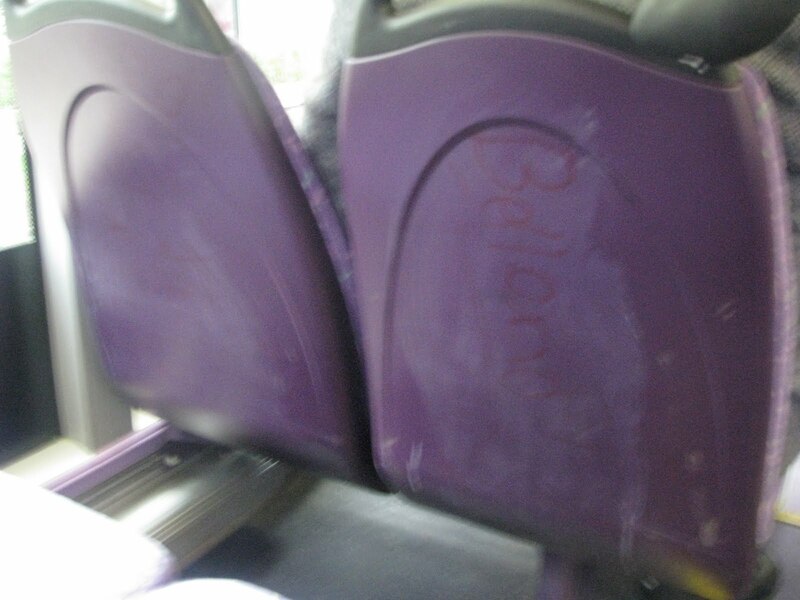 To add to this seat misery they had also been pretty badly graffitied as is shown in the above photos. 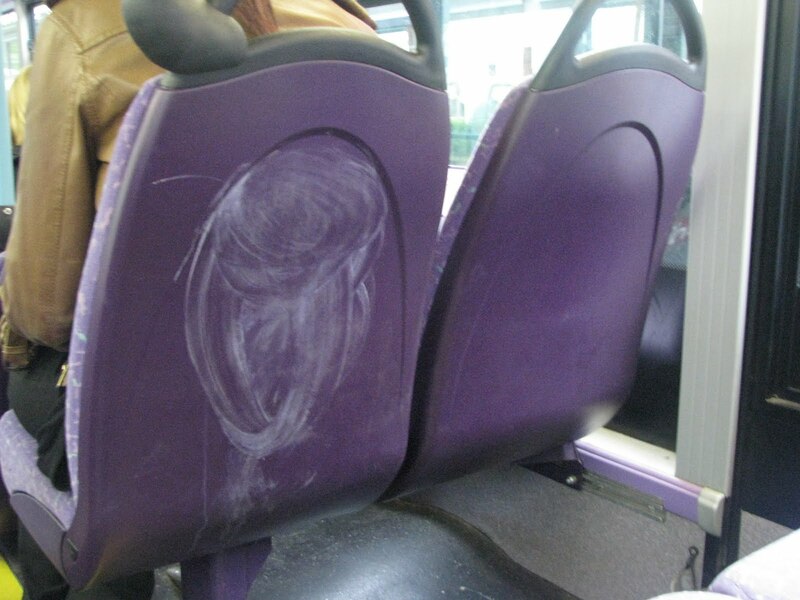 Whether this was while the bus has been in Plymouth, or while it was in Glasgow I really don't know, but wasn't great to see on a bus that is only a year old! The suspension, as with many of the Enviros was bone-shakingly hard going along Union Street, with a lot of rattling going on. The engine noise was also quite shockingly loud in the saloon, maybe I wouldn't mind if it was a nice noise, but that whistling doesn't do it for me! Maybe I was just used to some of the best seeing as I'd been on a Volvo Citybus earlier that day but I've got to admit, I expected better! Hey Glasgow, fancy a swap back? 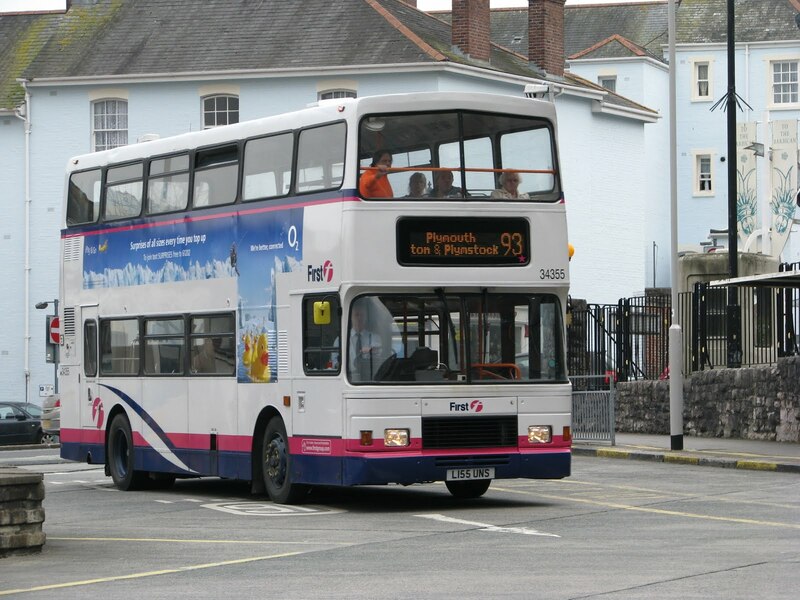 Today's Snap on Sunday was taken yesterday on Royal Parade of Torpoint Trident 32757. 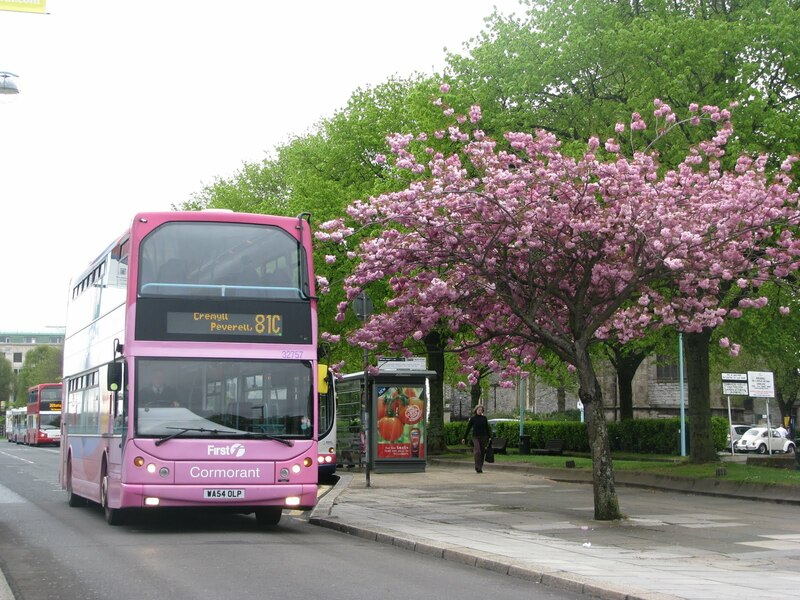 There's a couple of nice pink blossomed trees along Royal Parade now so I jumped at the chance of posing one with an TL Trident. Next time I may have a go with the colour defining feature thing, blocking out all other colours expect pink. That's providing that the blossom stays long enough! 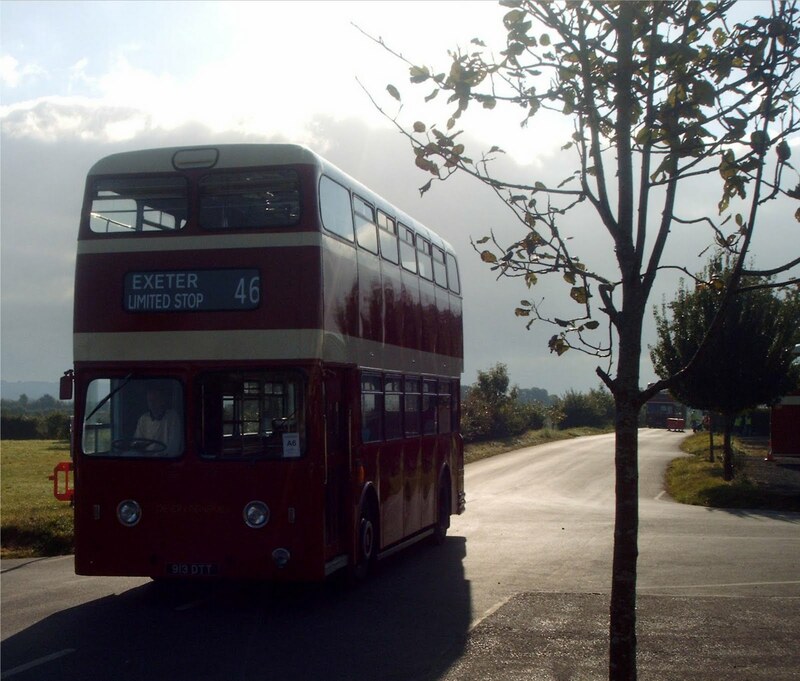 The Ex-Bristol D-GHY batch of open toppers are back on the road once again. A couple have been used on the 1 to Lands End in recent weeks but it was yesterday that saw the first proper operational day of the 300, Penzance, Lands End, St Ives circular tour. We by chance joined D705 as we arrived in St Ives just off one of the X reg Darts. Seeing as at the moment the 300s are few and far between with the full timetable not yet running, we did get on this bus and proceeded to spend the next 3 hours aboard it! The north Cornish coast is a road I've never actually travelled on, and now I can very much see why it was voted one of the best roads in Britain! Stunning views from the top deck of the bus, (however cold we might have been!) and some lovely tight sections testing driver and bus capabilities. There is of course the famous road up from Sennen Cove, a real test for the machine, and I've got to admit I would have expected the Volvos to do better! I may go as far as saying D705 was actually slower up the hill than a VR! But anyway definitely worth a trip, the Citybus' are quite a treat now. They do have that lovely throaty exhaust note which kept me happy for the 3 hours we were aboard. The duel purpose coach seats are also very comfortable and the bus provided a good ride throughout. Just remember to pick a warm day, and don't sit on the nearside unless your below 5'7! I had many close encounters with trees!